After staff have been added to your school, they will need to create a Kinderlime account in order to view their students, send messages to parents, and record daily activities. NOTE: Staff who do not have an email address in the system will not receive an invitation for account creation. Please see our article about adding staff with varying levels of access for more information. 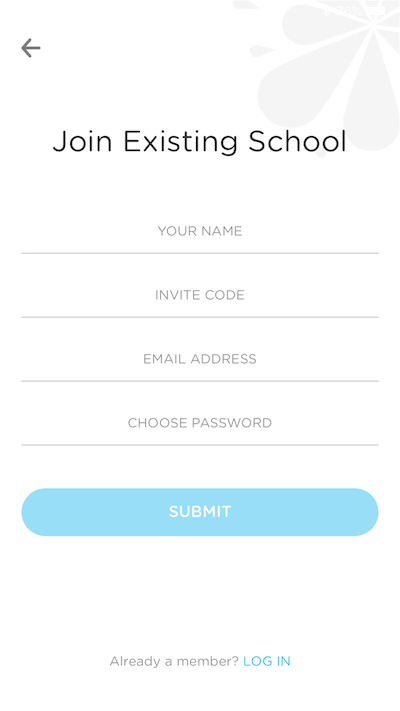 Staff will receive an invitation email to the address that you've saved in their profile, right when you hit "Save" while adding them to your staff list. This email will include a 6-character invitation code that the staff member will need to have on hand when they sign up for their account. Staff member goes to www.kinderlime.com and clicks "Sign Up," or downloads the Kinderlime Childcare Platform app on their mobile device and clicks "Create Account." Alternatively, you can log out of the app on one of your devices and have the staff member click the "Create Account" button from there. Staff member selects "Staff / Teacher." The following screen is very important. 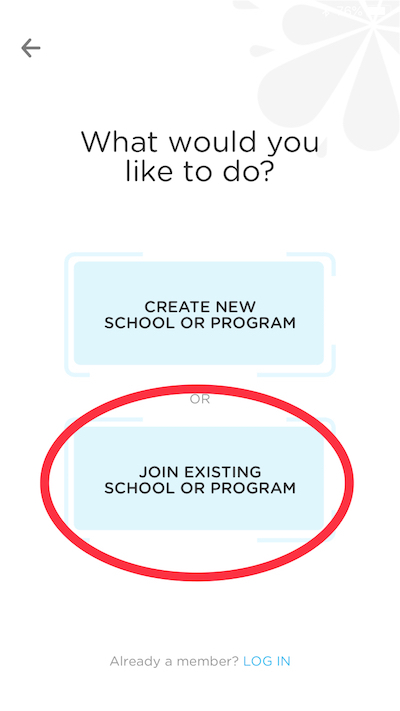 Please make sure the staff clicks on "Join an Existing School." If they don't, they will create a completely separate account and not see any information from your school. From there, the staff member will add their name, email address, invitation code, and password. They'll be able to log into both the app and the website. From the My School > Staff page, you'll be able to view whether a staff member needs to be invited, re-invited, or has already signed up for an account.